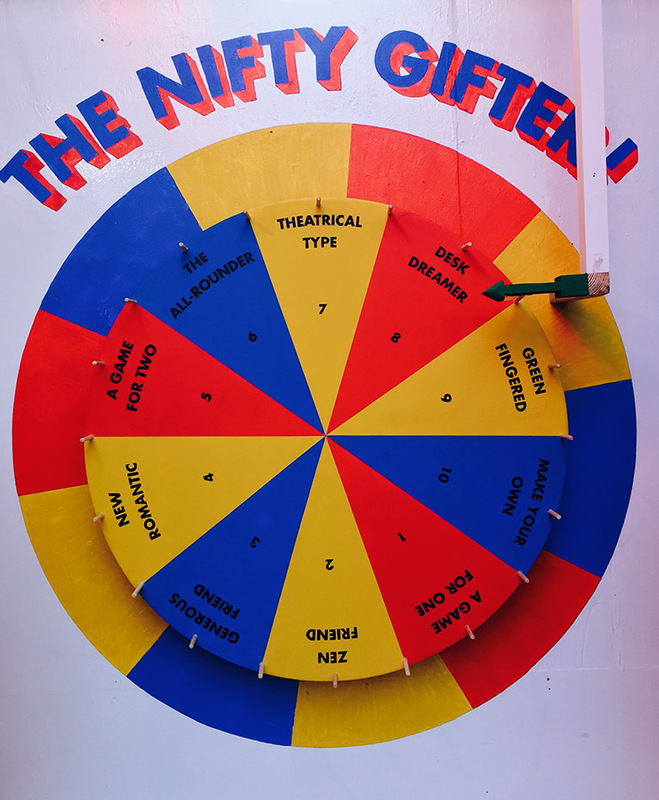 To mark this first day of advent, we’re presenting, The Nifty Gifter, designed to take the panic out of your Christmas Shopping. Spin the wheel to match makers product to friend type. Then simply pay for your gift, and walk away happy! This genius game alongside a Lucky Dip and Make-O-Meter that tests your strength as a maker (are you a Champion Chiseler or Rookie Router?) are all on display at our pop up Sideshow until the 23rd December. And if you fancy a stress free Christmas shop, then come along to our Christmas Makers Market, next Thursday 7th December from 5-9pm also at Sideshow. Mulled Wine and Hot Dogs on tap to keep you suitably nourished. P.s.Thanks to Lauren Edmondson for her marvellous paint job.